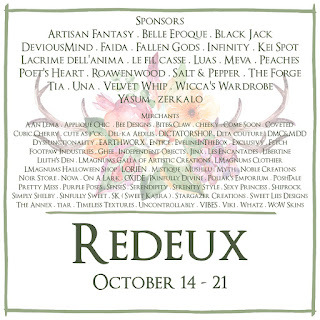 Redeux October is live, lasting just the week 14-21 of October. A range of creations themed to Darkness, from all black dresses to raven feathers, black tattoos and touches to the Death skin sets at half price. 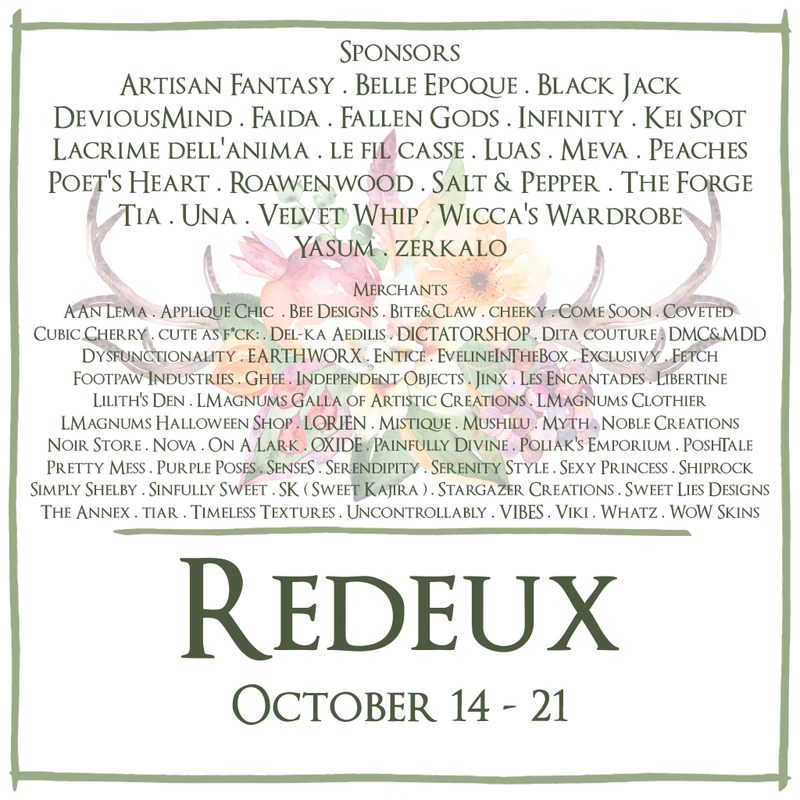 The Libertine booth is also present, for a list of items and previews check the Libertine post here. As usual there's also gifts and gachas, some even with a discounted pull.